On the 12th of August 2018, Zambia proposed a tax on Voice-over-IP (VoIP) calls of 30 Ngwee per day (link). This tax has not yet been implemented. 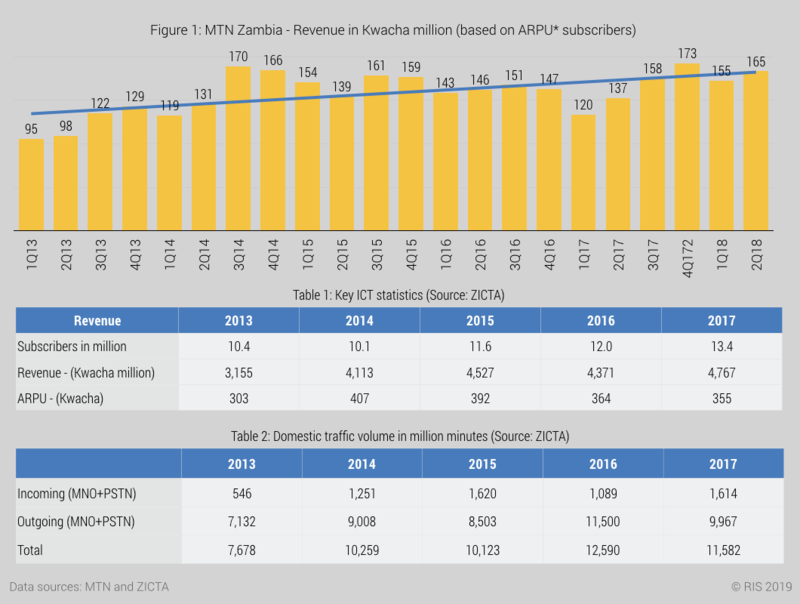 The Zambian ICT Authority (ZICTA) provides annual ICT statistics up until 2017 and quarterly updates for the last two quarters only. Revenue and mobile subscribers have increased every year between 2013 and 2017 (Table 1). MTN is the only operator that publicly releases revenue and subscriber data. The revenue trend since Q1 2013 has been upward (Figure 1). Mobile operator revenues increased in four out of the last five years. OTT apps have not had a negative impact on the market.